I have never been a breakfast person. I don't eat eggs. I hate bacon and I eat my cereal dry. I don't drink coffee and I never wake up early enough to actually make anything before I leave for work. Most days I eat yogurt or a granola bar at my desk during my pre-school planning. I may not like breakfast but I do love brunch. Brunch has pancakes, and hash browns and french toast. Brunch has everything that regular breakfast doesn't. You can't have sticky buns for breakfast but for brunch they're fair game. Justin and I are blessed with lots of family to celebrate the holidays with. One of the perks of tons of family is having multiple events to make food for. This year we not only had Thanksgiving dinner but we also had a Thanksgiving brunch. I had big plans to make my mom's Maple Coffee Breakfast Treat to share with Justin's side of the family but then Ina Garten (Barefoot Contessa) came on the Food Network and changed my plans last minute. 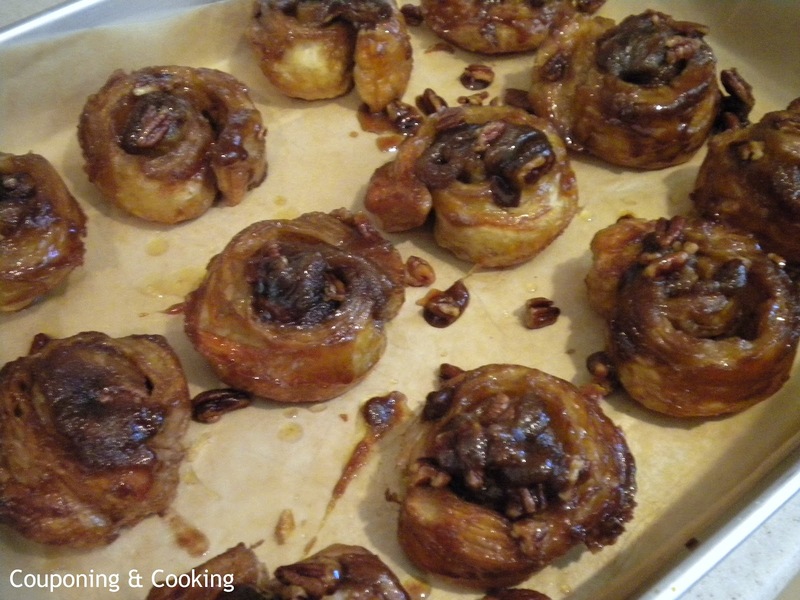 We were relaxing and watching tv on Wednesday night and Ina started making her quick and easy sticky buns. Usually Ina's recipes are neither quick nor easy. They usually require rare ingredients that require multiple stops at various specialty stores. But for once, she was making something that I could actually make with the items in my pantry and freezer. I have never really made pastries before because I always assumed that they were difficult and time consuming. But Ina was right, anyone can make these babies, even me. In fact, I woke up at 9:30 and still had time to make them and be dressed and ready for our brunch at 11:00. That's my kind of pastry. Good for you? No. Delicious? Yes. Worth every calorie? You bet. 1.) With an electric mixer, beat room temperature butter and 1/3 cup light brown sugar until light and fluffy. 2.) Place a muffin tin on top of a baking sheet lined with parchment paper and fill each cup with a rounded tablespoon of the butter and brown sugar mixture and a sprinkling of chopped pecans. I skipped the baking sheet step and my oven regrets it. 3.) Dust a workspace with flour and unroll one of the sheets of puff pastry. Brush it with half of the melted butter and then top with 1/3 cup of the remaining brown sugar. Sprinkle with cinnamon. 4.) Starting from the top, tightly roll the puff pastry like a jelly roll. Cut in half and then cut each half into thirds. You should end up with six rolled pieces. 5.) Place each piece spiral side down in the butter mixture in each muffin cup. 6.) Repeat with second puff pastry sheet and remaining ingredients. 7.) Bake muffin tip with 12 rolls on top of the baking sheet at 400 degrees for about 25 minutes or until fully puffed and golden brown. 8.) Let whole tin cool for a few minutes before inverting the entire pan of rolls onto a serving tray lined with parchment paper. Oh these look delectable and gooey and mmmmm. Thank you for sharing. Great way to make them. I'm the same way, I always thought they'd be too much trouble. yum yum yum! I love that you can make them in the muffin tin! I would be honored if you shared this at my Ginger Jamboree Link Party! 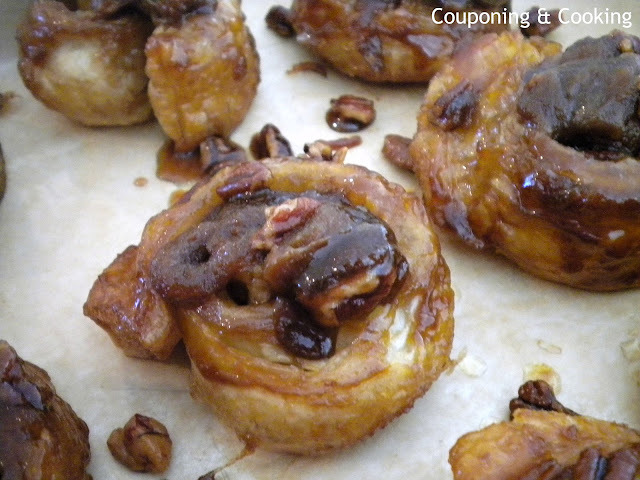 These are wonderful sticky buns. I'm not a breakfast girl, but here we eat these kind of buns as dessert. Kaylee these look amazing,I could probable throw back about a dozen right now,thanks for sharing @Love Bakes Good Cakes #17. Wow! These look so good! Thanks for sharing on Foodie Friends Friday! Delicious! Thanks so much for linking up to Heavenly Treats Sunday! Mmmmm sticky buns. 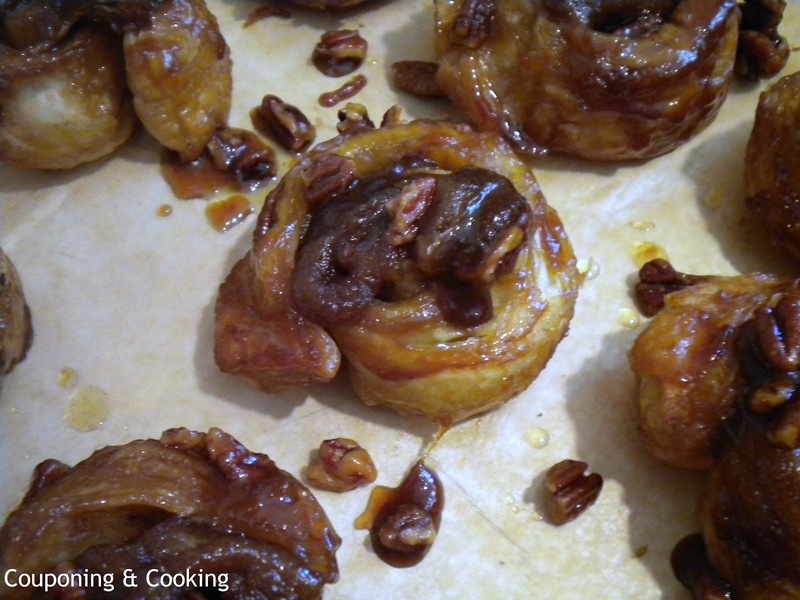 I wanted to try making my own sticky buns. Now I have the perfect recipe to try out! Thanks for sharing at Linkin' Up Leftovers! Sure wish I had one of these to go with my morning coffee, it looks awesome! Hope you are having a great weekend and thank you so much for sharing with Full Plate Thursday. These look amazing! Love easy and simple recipes also! Thanks for sharing at Foodie Friends Friday! Oh my, they look amazingly delicious! Hope to see you there again next week! I'm reeling in shock that you hate bacon...it's a staple in my house. 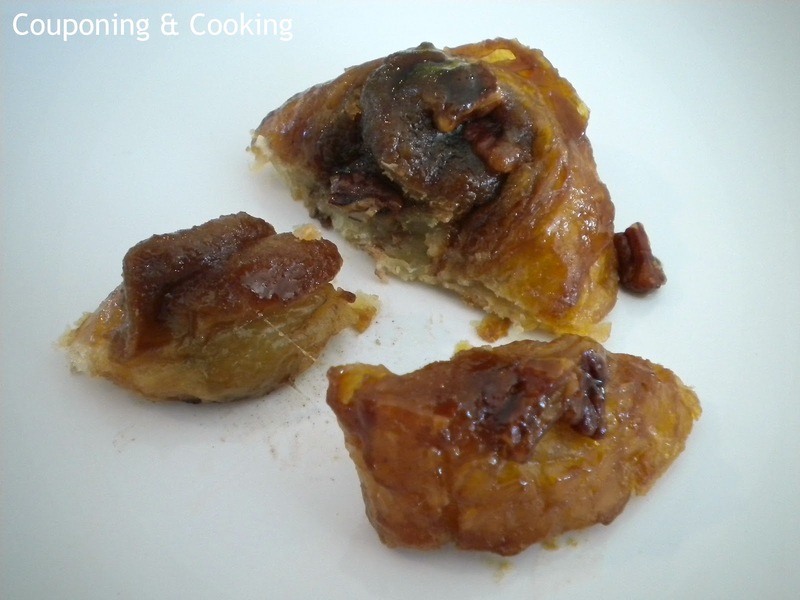 We've even covered it in chocolate before and made bacon candy :-) With or without bacon those, these look scrumptious! May be a nice Christmas morning treat! This looks wonderful, Kaylee! Easy too :) You are being featured at tomorrow's All my Bloggy Friends. I can't wait to see what you share this week! Yummy! These look so delicious!! You are so talented!! We hope you will come back this week! Thanks so much for sharing at Wednesday's Adorned From Above Blog Hop. This weeks party starts at 12:01AM on Wednesday and runs through Sunday night. Have a great week. I had to pin these, they look so scrumptious because I love using puff pastry! Thanks for linking it up! 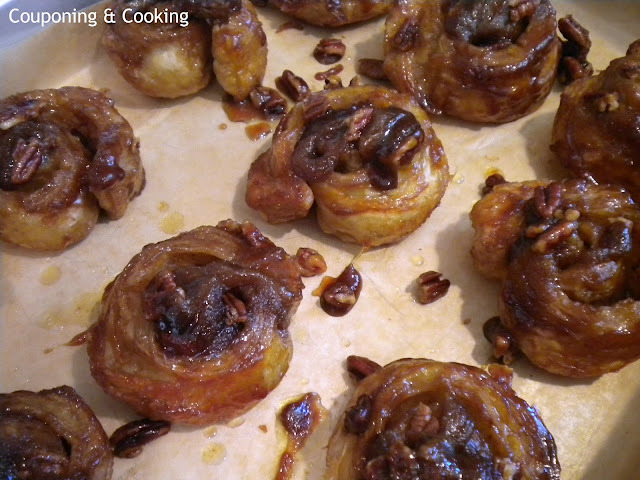 Those sticky buns look ridiculous! I love brunch too! Thank for sharing at Meatless Monday! Oh my goodness gracious - wow! 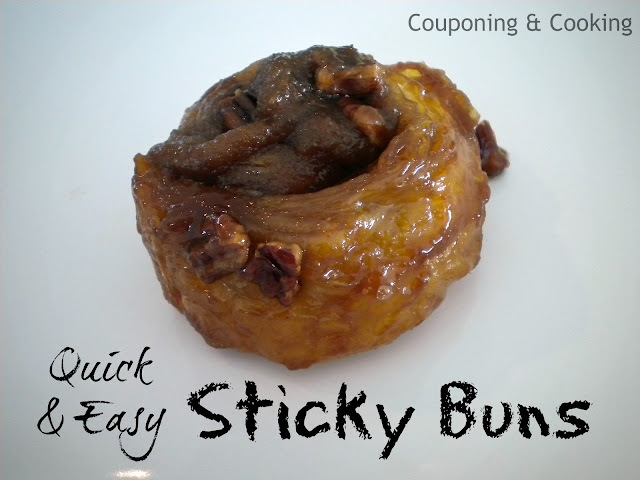 I love sticky buns :) Thanks for linking up to Tasty Thursday.